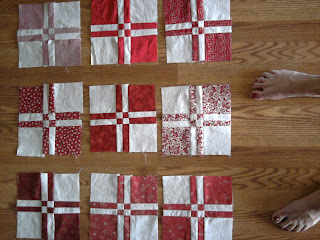 I wowed all my quilting friends with this pattern! Lots of fun to do…while I was working, I thought ‘wouldn’t this look great in white with Hawaiian print fabric?’ Good choice, Sophie! Oh, I haven’t won yet……just sayin! Oh, and yes, those are my toes!